footballer in Africa,In this post we will quickly take a look at the current net worth of John Obi Mikel,his houses,salary,village and some other interesting facts that you probably never knew about the midfielder. Before we answer the ultimate question about the net worth of John Obi Mikel,let's quickly take a look at some of the quick facts about Mikel. Q: John Obi Mikel Quick Facts? 1. John Obi Mikel was born John Michael Nchekwube Obinna,he is one of the most decorated African footballers. 2. John Obi Mikel is from Anambra State,but grew up in Jos. 3. Mikel has different endorsement deals with Samsung,Pepsi,Peak,Amstel Malta Etc. 4. His journey to stardom all started when he was discovered on dusty playing football pitch of Jos Metropolis Township Primary School where he attended his primary school,according to reports,he was later recruited by a rich football agent that lives close to Mikel's house. 5. Mikel was born in April 22, 1987 in Plateau state,Jos. relationship with his Russian girlfriend Olga Diyachenko,this relationship has resulted in the birth of twin girls,Olga's father is a rich businessman with a chain businesses. 7. Mikel has a fleet of exotic cars which includes a Bentley Continental GT,Mercedes G Wagon,Black Mercedes G 500 and some other cars. 8. Mikel also has other children,he is a father to a 7 year old son and a daughter from a previous relationship,both with different women,it's reported that he bought a £500,000 detached for his son and the boy’s mother,while his other daughter lives in South England with her mother. 9. Mikel Obi has been linked with some top Nollywood Actresses such as Genevieve Nnaji and Rita Dominic. 10. Mikel's father runs an inter state transport company in Jos. 11. His career kicked off at the age of 12 when he was selected from over 3,000 young talents to play in Pepsi Football Academy. 12. Mikel went on to play for Plateau United, a local club in the Nigerian premier League,his brilliant display at the FIFA Under 17 World Championships held in Finland helped him to secure a spot at Oslo based club Lyn Fotball in Norway. 13. Mikel's real name is Michael,but he chooses to be called Mikel after the Nigerian Football Association (NFA) mistakenly submitted "Michael" as "Mikel" for the tournament in Finland,afterwards he decided to adopt the new name. Mikel won the Silver Ball at Finland,Messi won the gold. 14. There was a controversy surrounding his transfer to the English Premier league with Manchester United claiming to have secured the services of the youngster,however he ended up playing for Chelsea after the feud was settled. 15. Mikel is the current Captain of the super eagles of Nigeria. Q: Current Net worth Of John Mikel Obi? 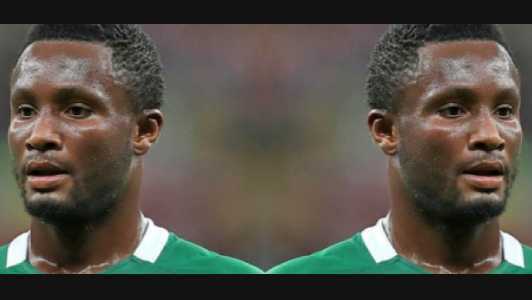 The footballer is estimated to be worth about N2 - 3.5 Billion Naira.